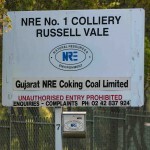 A few dozen workers walked off the job at Gujarat NRE’s Russell Vale mine after a dispute with the company over the late payment of wages. Day shift workers at the mine withdrew their labour yesterday morning. A source close to the comany told Australian Mining Gujarat NRE had continually failed to pay its employees on time. “It was two weeks in a row that the pay had been late,” the man said. The man said pay was supposed to be cleared on a Tuesday but that the company had continually been late with the wages, with some people not being access their money until Friday. “People have mortgages to pay and kids to feed, it’s just not on,” he said. The man said workers had a meeting with the CMFEU overnight to vote on any action that would be taken if the issue arose again. In a statement released yesterday, the company said it was working with the CFMEU to "resolve a number of issues and concerns expressed by the day shift workers at the at NRE No.1 Colliery”. 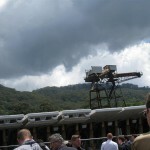 The company added that it was experiencing “tough operating conditions brought about by a drop in the international coal price and a still buoyant Australian Dollar”.